Decorah Newspapers has learned Hy-Vee is exploring opening a new store in the former Quillin’s building in Decorah. Quality Foods closed in December. Fromm said a well-known, grocery chain is strongly considering leasing the property at 915 Short St. for its next store. The retailer would employ approximately 20 full-time and 50 part-time workers. Fromm and Bird would not disclose the name of the grocery store chain. “This specific tenant would have a community-vested interest and is often tied to further development opportunities as they are considered to be an anchor tenant,” Fromm said. “This business is often requested by citizens in the Decorah area. These citizens often express that this store would be a great fit and excellent addition to our regional economy,” she said. “This is an exciting opportunity to see redevelopment being considered so quickly after the previous tenant vacated the space. Sometimes, these projects take much longer to mature. The project would include substantial improvements to the existing building,” Bird said. “This could be a real win for the Decorah area. I am excited to see how things progress as we further explore this development opportunity. This would be a significant improvement and addition to the overall retail center (Centrum Plaza),” Fromm said. The developer is expected to discuss the project with the Decorah City Council in the near future. Yes please. This would attract me to Decorah for my groceries which would additionally attract me to stop by other businesses while there. Decorah needs strong anchors to draw people to the town. This comment has been hidden due to low approval. I would be very happy if Hy-Vee’s coming to town. I worked there in the late 90’s and since then I haven’t seen a better grocery. I have been out west and rose stores compared but it wasn’t the same. Employee owned and benefits that was awesome. I know that Fareway does well, but we need competition This comment has been hidden due to low approval. Very exciting news for Decorah. We stop at the NEW one by Allen Hospital everytime we leave Waterloo,they have Great products, Deli, meat & Bakery sections. Please welcome this opportunity & no scare them away like Cabelas & Menards, we need growth in our city. This comment has been hidden due to low approval. HyVee would be a nice addition to Centrum Plaza and the Decorah retail community. It will be interesting to see what enticements the developer will request from the city. This comment has been hidden due to low approval. 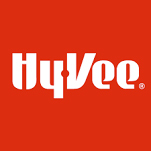 I love Hy- Vee, I live in Clinton, Iowa and shop there all 5he time very reasonable prices. This comment has been hidden due to low approval. WOW - WHAT A GREAT ADDITION TO DECORAH!!! I'VE BEEN HOPING FOR HY-VEE FOREVER!! CITY COUNCIL PLEASE DON'T TURN YOUR BACKS ON ANOTHER BUSINESS THAT WOULD ONLY COMPLIMENT OUR GREAT CITY!!! WE NEED TO GROW - NOT STAGNATE, DECLINE & DETERIORATE!! This comment has been hidden due to low approval. Will they fight this like they did Super Wal-Mart? Menards was shunned and told to go away. Why would this be any different? Competition is something Decorah businesses do not like or want, so it seems. Good Luck to any corporate entity trying to bring a business into Decorah. This comment has been hidden due to low approval. A HyVee would be so great in Decorah! They are a great employer and are active in the community while supply great products at a reasonable price. Please, please, please Decorah City Council do not screw this up!!! This comment has been hidden due to low approval. Omg, that would be incredible! It was always our store in Cedar Falls! Employee owned, great employer for young people! This comment has been hidden due to low approval.